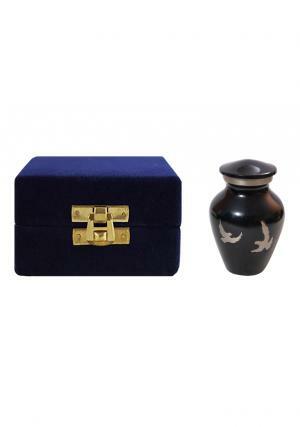 The famine blue keepsake mini ashes container for human remains is decorated in silver doves and made of solid brass with the artwork from professional urn makers. 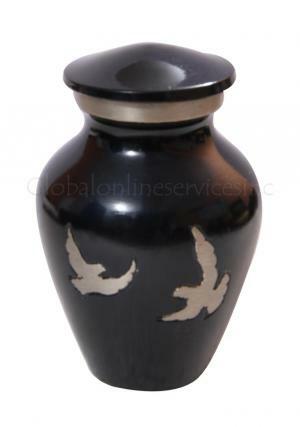 The marble finish in glossy coat that last long through years of preserving ashes in the small urn with a reflective back look. 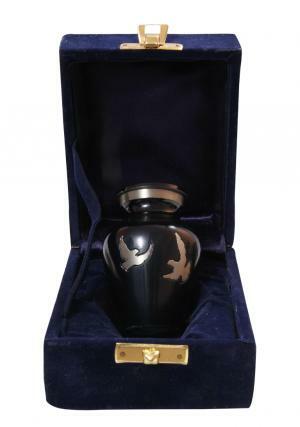 The human keepsake personalised urns has a detailed finish with silver doves spread around the urn with tale blue finish. The design gives comfort and grief towards the demised with respect of honor. 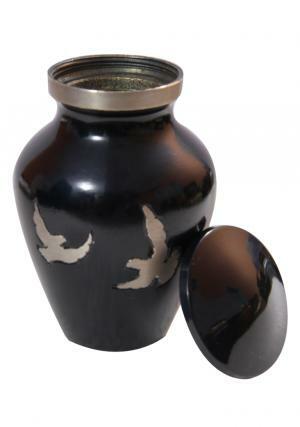 The urn keepsake has its highest standards of production with finish and secured threading on the top for a easy drop in of ashes. 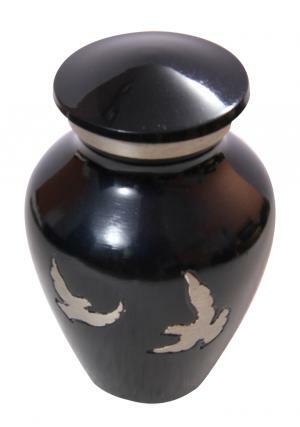 The memorial urn will be the perfect present to preserve ashes of the lovable and distribute to the family and friends. 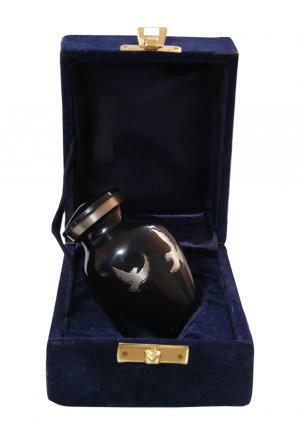 Memorial urn holds upto 3 cubic inches of ashes and dimension of this urn is 2.95” inches height, 2.07” inches width and weighs 0.16 kg.